Cleaning Staff Man And Woman Character. 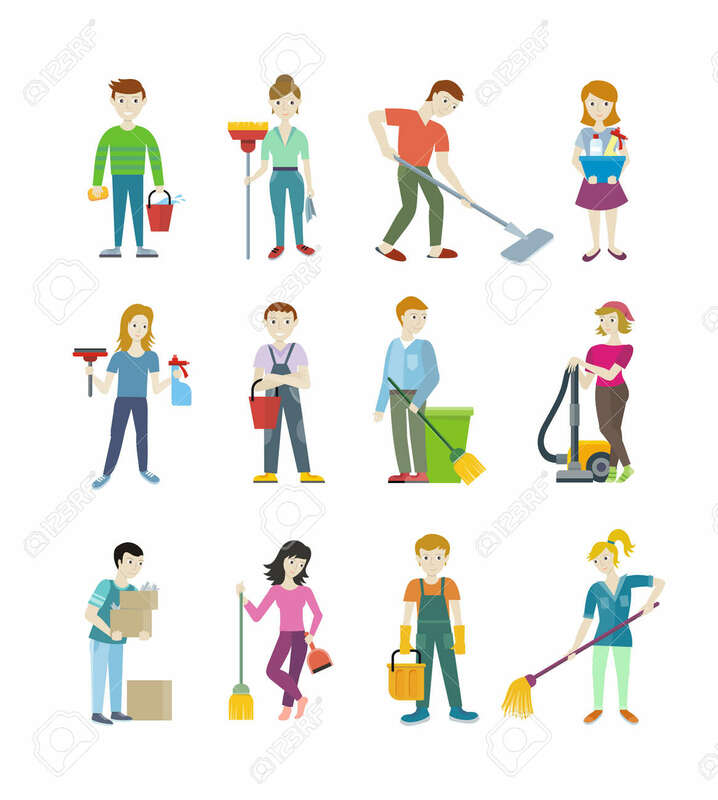 Workers Cleaning Service. Woman Vacuuming, Floor Washing And Sweeping. Man Wipes Dust And Takes Out The Garbage. People Of Set Work. Vector Illustration Royalty Free Kliparty, Vektory A Ilustrace. Image 56399597.